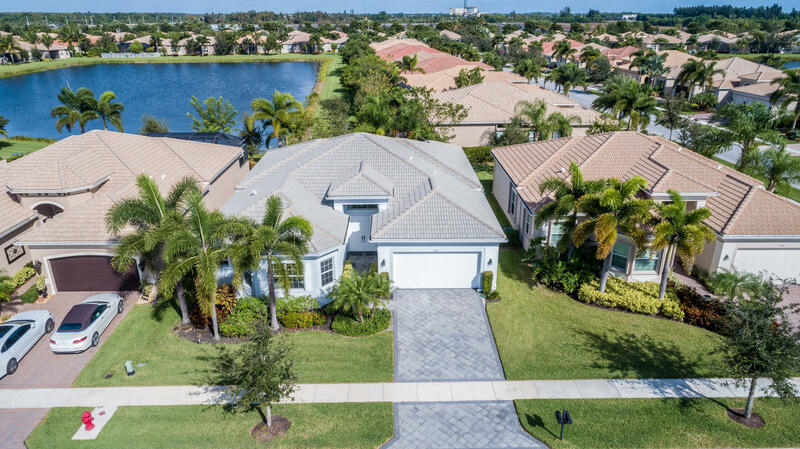 Gorgeous 3 Bedroom 3 Bath Alexandra Model Lakefront Home in Desirable Valencia Reserve. Fabulous Features Include 2 Master Suites, Chef's Gourmet Kitchen with Wood Cabinetry, Granite Counters and Pull Out Drawers. Large Screened in Patio, Fenced In Yard, All New Carpeting in Bedrooms, Freshly Painted through out and Beautiful Serene Water View. Enjoy Valencia Reserve and It's Great Amenities; Clubhouse, Restaurant, Pools, Fitness Center, Tennis, Pickle Ball and so Much More!